Arsen Sergeevich Pavlov (Motorola), opolchenie commander (Sparta), DPR, 2 February 1983-16 October 2016. Chechnya war and opolchenie veteran (with odd jobs in between). Twice married, 3 children (2 in the second marriage, with the youngest born 2 weeks before his murder). Marriage: 11 July 2014, in Donetsk -video. Also:24 July 2014, medical treatment/honeymoon in Crimea video, text. Contact with Andrey Stenin was lost on 5 Aug., 2014. 16 Oct. 2016 Reports of a terrorist act, an explosion in central Donetsk. Opolchenie and Rusvesna report that Motorola was killed in explosion in an elevator of a multi-flat house where he lived with his family. Officially confirmed by DPR. One opolchenie bodyguard was killed too. His wife and children were not hurt. (Updates. )(Report and video from the scene). Emotional (though in a broader perspective likely inconsequential) statement of Zakharchenko highlights who is to blame for the present dire situation and clashes continuing. Ukrainian reports, social media, Yarosh, etc, are mostly cheering up. Unknowns claimed responsibility in the name of Ukrainian neo-nazi, under the flag of the "misanthropic division"-but the latter said it is a fake and they are not involved. 10 Nov. 2016. Zakharchenko names organizers, all working for Ukrainian SBU. Some names withdrawn in the interest of investigation. Promises to name the actual killers eventually too. Ukraine dismissed the accusation as "stupid" without further comment, apart from pointing out that the name was misspelled and the job title was incorrect too. 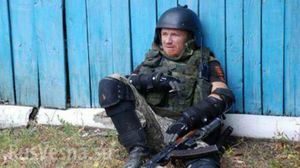 Motorola tells about attempt to take him prisoner, and that there is a 2 mln ($?) bounty on his head offered by SBU 'on internet', December 1, 2014. Shows previous apartment, guards, etc. DPR says bombs used to in an attempt on Zakharchenko life and the one which killed Motorola are similar (that implies it was done by Ukraine). Zakharchenko blamed SBU, DAN news, 17 Oct. 2016, appearing live on Vladimir Soloviev program on one of the main Russian channels, Russia 1 TV. Ridus, "I know I will be dead", Ukrainian journalist interview based, of disputed accuracy, October 17, 2016. 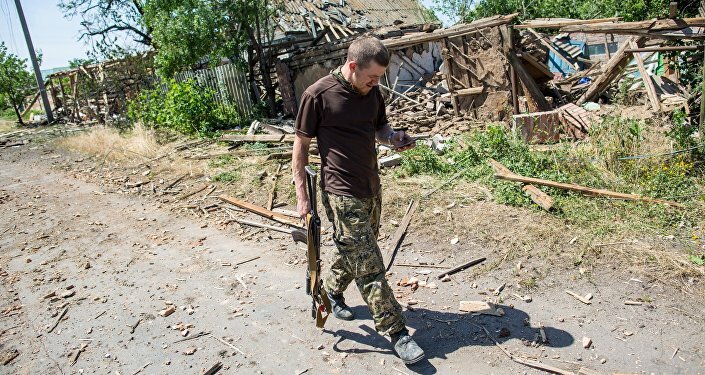 Repeats outline of a fake story that Motorola had 15 prisoners executed; and here (112.ua) too. He was also accused in the past of execution of 'kiborg' Igor Branovytsky, in a tale told by another released from prison 'kiborg', certain Yurii Sova -BBC Russian. Sova also tells he was beaten. But no reason to think this story is true and not Ukrainian propaganda, with generally good treatment of prisoners by DPR (as opposed to Ukraine), and many fakes, including fake audio of Motorola 'admission' of killing prisoners. Captured Kiborgs were released from prison, in quite good shape, just to be used for propaganda by Ukraine. Sova story was refuted by Rusvesna, 25 March 2015. Friendly meeting with Kiborgs on rotation to airport, friendly chat about stopping fighting each other, tells them that there are bodies of their comrades in the terminal building -showing lots of respect (not afforded to himself now by Ukrainian crowd). Published on Dec 12, 2014. 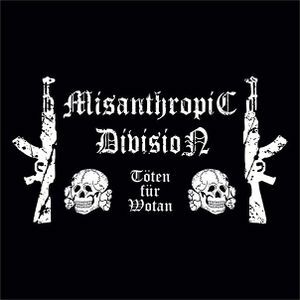 Flag of the Misanthropic Division - German text "Töten für Wotan" means "Killing for Wotan (aka Odin)". The skull in this exact design is a prominent symbol of the Nazi SS. Andrey Morozov 'Murz', opolchenie, blogger, publicist, 'and recently a political prisoner'(? ), narotdtv.com, October 19, 2016 (On his chevron, 'Coach troops-slow reaction forces'). Version close to Strelkov's with more background and fine details. (On possible reaction: from tactics point, both sides will be disadvantaged attacking the other now and prefer the other side attack; so maybe a provocation to cause opolchenie attack). Denis Seleznev, Donetsk blogger and Motorola neighbor. Assassination was not difficult to execute. Entrance was not heavily/professionally guarded, it was done by fighters from his battalion, who could fight back a direct assault, but were not trained in anti-terrorism. Elevator doors are easy to open (shows it at 15:20 time stamp), and this gives easy access to elevator cabin ceiling, very quickly. There is a curfew, and unlikely that during that time somebody will pass by, which gives plenty of time to install IED. Remote detonation, is not difficult to buy or to make. Previous assassination attempt failed when perpetrator exploded before reaching Motorola building. That was some 200 m away. In conclusion, not difficult for Ukraine to arrange several such attempts, eventually succeeding. Video ends with a tribute to Motorola. Another commander will replace him, he is sure " 'Russian' army does not fall apart when one officer is killed." Former opolchenie, now blogger Chervonets points out that there is Ukrainian sanctions list adopted on September 16, 2016 by Ukrainian Rada (council) of National Security and Defense (SNBO in Russ.) , extending previous sanctions list of 2015. On 17 of October (next day after Motorola killing) it was signed into law by Poroshenko, and Motorola was not in the list already. Moreover SNBO announcement on October 17 sates that no changes were made since 16 of September 2016 (Жодних змін щодо переліку фізичних і юридичних осіб, який було прийнято на засіданні РНБО 16 вересня 2016, не вносилося. --No changes to the list of individuals and entities, which was adopted at a meeting of the National Security Council September 16, 2016, were introduced). That appears to imply (Chervonets: does imply) that Motorola was excluded from the list on September 16, 2016 already. This page was last edited on 10 November 2016, at 14:32.